London-style British red phone booth is a clever conversation piece in the TPC reception area. “It was a prop from a fund-raising event we planned and we decided to give it a home in this area,” Todd remarked. TPC Studios recently set up shop in the historic Kendall-Whittier District. An aging hardware company in Tulsa’s historic Kendall-Whittier district has been revitalized into an upscale, trendy office for TPC Studios, a cutting-edge branding and event planning organization known for its originality and creativity. 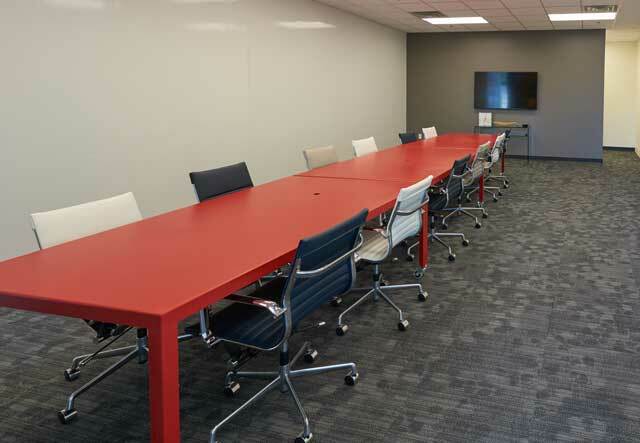 Clients of TPC find their new meeting space a vibrant, colorful, contemporary setting, anchored at First Street and South Lewis Avenue in the original Swinney Hardware Company. TPC Studios, organized in 2012 as Talmadge Powell Creative, has planned spectacular events in Tulsa since 2000. 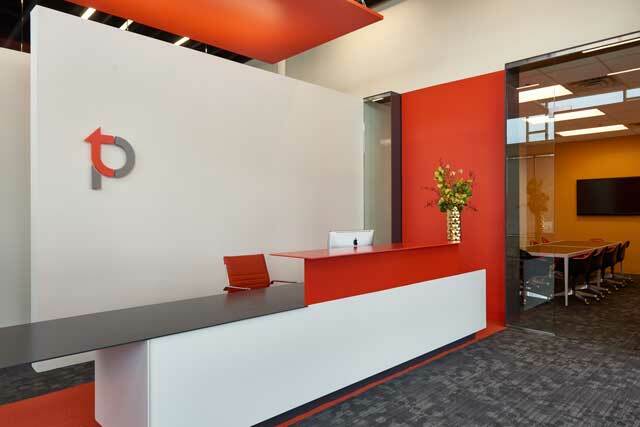 In 2012, TPC expanded into a full-service branding agency, originally based in an old automotive repair shop at 11th Street and Cheyenne Avenue. 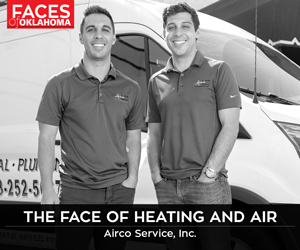 The firm not only outgrew that location, but it surpassed the original business plan. 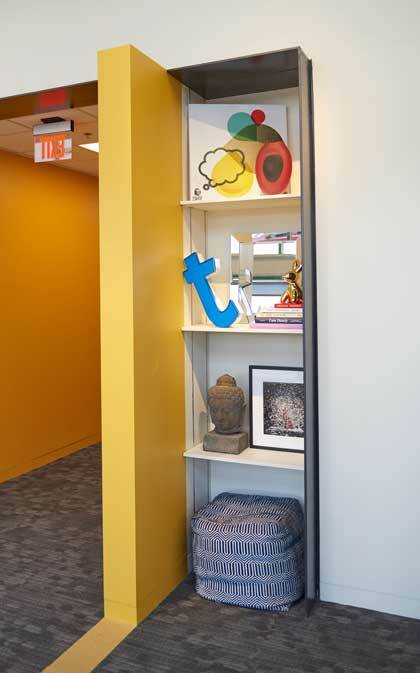 : A crisp, streamlined, modern look greets clients at TPC Studios. Different shades of warm red are among highlights in the color palette. A small table for three is a perfect place for an informal conversation with clients. So Talmadge Powell and partners Todd Pyland and Pat Chernicky went shopping for a new corporate address. They previewed properties for a year. Swinney Hardware, which dates to the 1900s, kept calling them back. Their first visit to the store was intimidating. “It was raining. There was a river of water inside the abandoned, 13,000-square-foot building that was in total disrepair,” Pyland says. Prospects for any architectural or design revival seemed bleak, yet the partners could see sunshine and promise beyond the rain. Plus, they loved the old windows and high ceilings in the derelict building. Pyland says Selser Schaefer was “so thoughtful” in considering the needs of a business based on branding development and fund-raising events for Tulsa’s nonprofit and corporate communities. The architectural firm also studied the Beryl Ford Archives at the Tulsa City-County Library to research the hardware store’s architectural history. 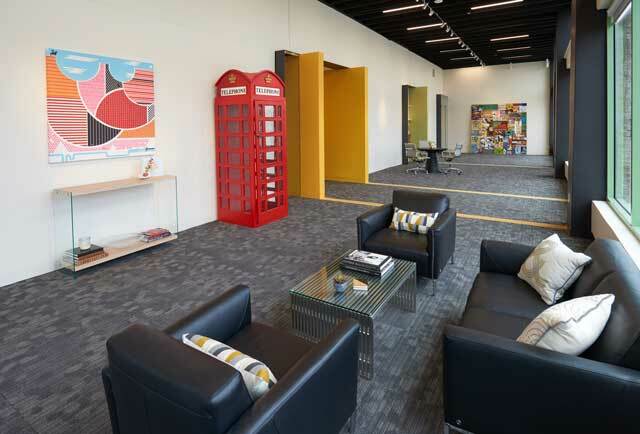 Bookshelves in the reception area reflect the primary color theme of yellow, green and red, contrasting with white, black and red. 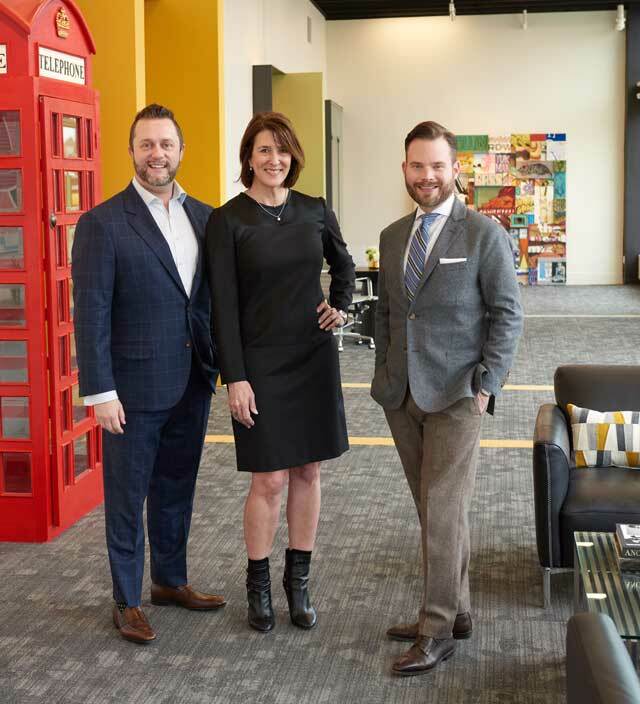 Todd Pyland, a principal and creative director at TPC Studios, Pat Chernicky, managing partner and Talmadge Powell, principal owner, stand in the lobby of their revitalized building. The large conference room table seats 25 comfortably and is available for rent to the community. Its vivid red top invites stimulating conversation as clients share their ideas for planning fundraising and branding projects for charities. 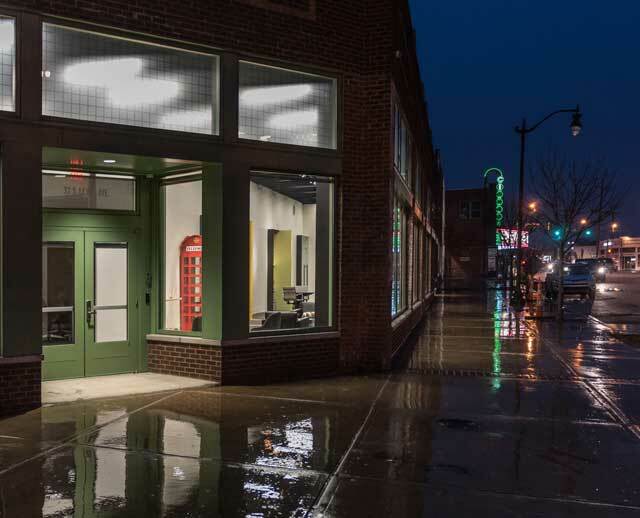 The building’s historic position in Tulsa was a plus, enabling TPC to utilize tax credits available for historic properties from Oklahoma’s Urban Renewal and historical societies. Perhaps the biggest challenge that Powell and Pyland gave to Selser Schaefer was, “everything has to blend together.” And it does. Shannon West, Selser Schaefer’s project manager, says the firm used a planar style of architecture rather than the typical enclosed box-like spaces in homes and some offices. “Two major white walls define the open space of the office and gallery,” West says. 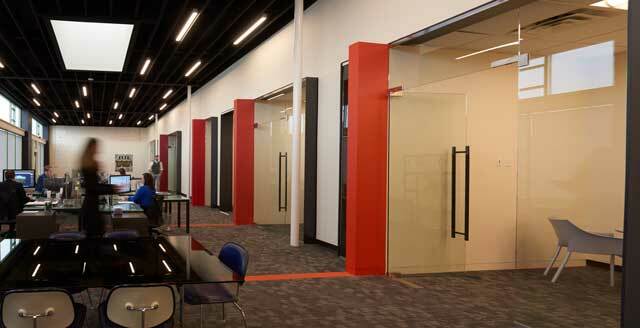 “Other walls use accents of red, green and yellow, defining the separation between offices and other spaces. The offices still have a sense of privacy but have a visual connection with other spaces. Those vibrant pops of color add architectural interest. 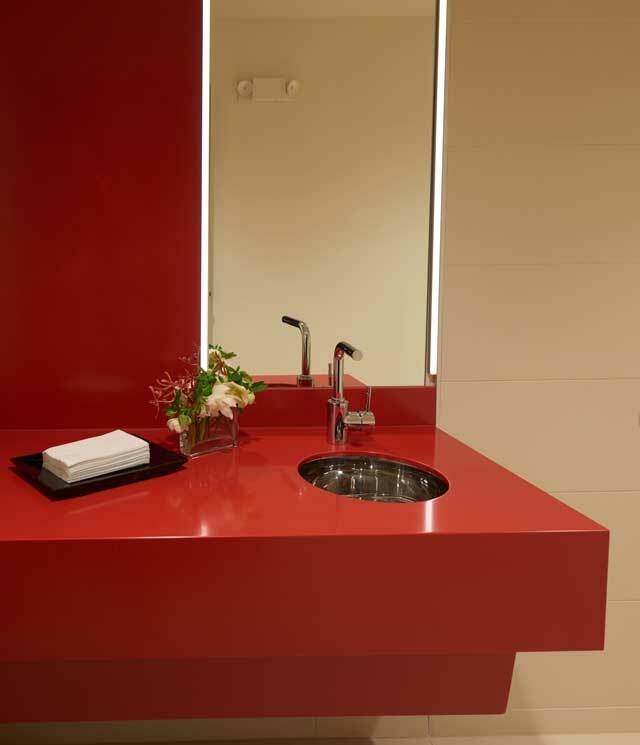 Even the guest bathroom carries out the color scheme with a bright red countertop and LED lighting for the lavatories. The windows at Swinney Hardware had become a mixture of various panes, says Shannon West, architectural project designer. Selser Schaefer restored the brick exterior and replaced all the windows with historically sensitive aluminum storefront glazing. 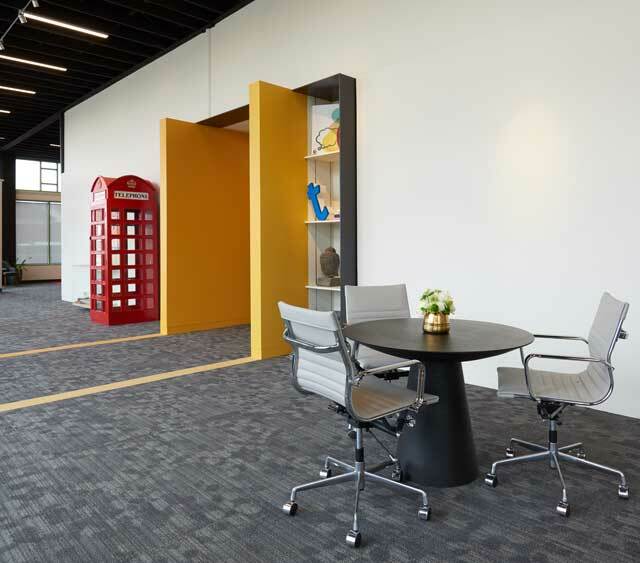 Pyland calls it a “trendy, colorful upscale space that shines a light on our business.” Among notable clients are the Tulsa Botanic Garden, St. John Health System, Tulsa Regional Chamber of Commerce, Patriot Bank, Tulsa Ballet and the Tulsa Club building, scheduled to reopen in 2018. Creating an inspirational environment is important to the TPC principals. The firm produced the recent grand re-opening of the overhauled downtown Tulsa library, along with planning a scavenger hunt at the Post Oak Lodge in the Osage Hills for the Boy Scouts of America in April and creating a new BSA branding concept. Among notable events they have planned are the “Memory Gala,” voted one of the top three fundraisers in the nation for Alzheimer’s disease by the Alzheimer’s Association; “Carnivale,” Mental Health Association Oklahoma’s annual fundraiser; and, an Oklahoma Magazine favorite, “Tulsa Cares Red Ribbon Gala” for AIDS awareness and research. By the way, if you need a life-size faux elephant for a spectacular fundraising event, TPC Studios has one just waiting for you in its well-filled stock room.